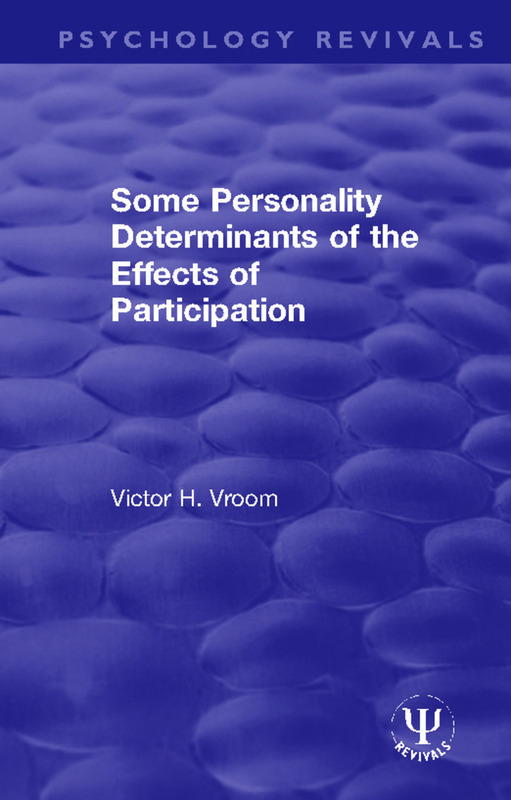 Originally published in 1960, this study was carried out as part of the research of the Organizational Behavior and Human Relations Program of the Institute of Social Research. The primary purpose was to determine the effects of participation in decision-making on people with different personality characteristics. It was hypothesized that equalitarians and individuals with strong independence needs would be more positively affected by the opportunity to participate in making decisions than authoritarians and people with weaker independence needs. The results, based on data derived in an actual industrial setting, confirmed the hypothesis. The theoretical implications of the findings are discussed. Foreword. Preface. 1. Introduction 2. Methodology 3. Results 4. Ability and Motivation 5. Discussion and Conclusions. Appendix 1: The Measures. Appendix 2. Appendix 3. Appendix 4. Bibliography.